The creations of artist Clark Whittington, these vintage cigarette vending machines are repurposed to sell original contemporary art for only $5 per piece. The mission of the Art-O-Mat project is to encourage art consumption by expanding access to artists’ work. Art-O-Mat® believes that art should be progressive, yet personal and approachable. By purchasing a $5 token at the Art Center, anyone can begin collecting original contemporary art. These tiny artworks are sweeping the country. The restored machines themselves are visually engaging. There are over 100 active machines in various locations throughout the country involving approximately 400 contributing artists from ten different countries. Part of the fun is not knowing exactly what your art piece will look like since each piece is an original work. The price, size, and collectability create a venue for everyone to become an art collector. For a complete list of where to find Art-O-Mat® machines visit www.artomat.org. All proceeds from Art-O-Mat® machines are shared between the artist, the Art-O-Mat® organization, and the Salina Art Center. 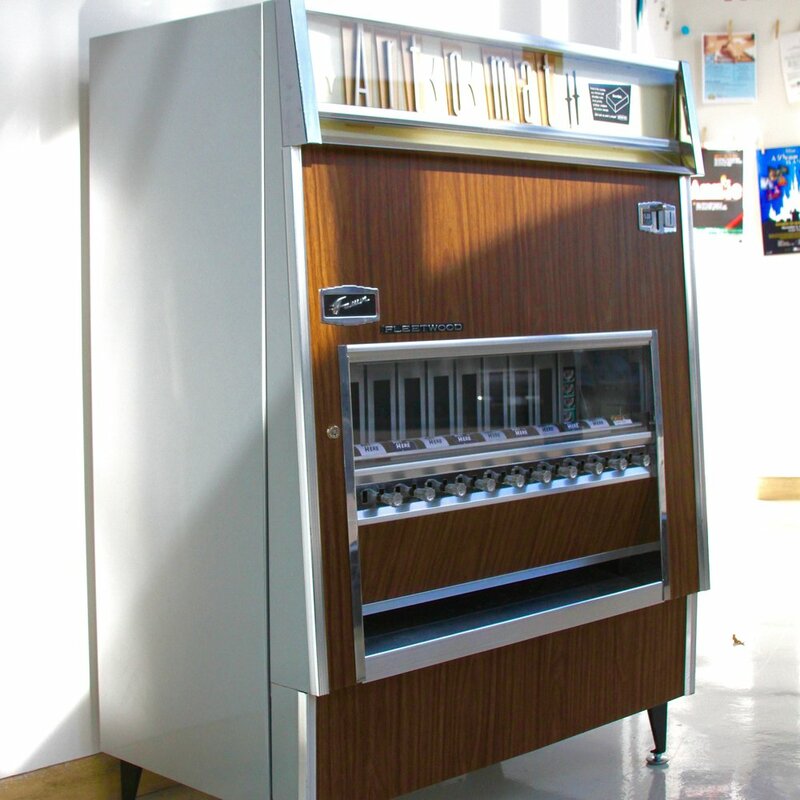 Art-O-Mat® at the Salina Art Center has been supported by a grant from the Dane G. Hansen Foundation Community Grant Fund, a fund at the Greater Salina Community Foundation. The Art Center main galleries are open Wednesday – Sunday from 11am-5 p.m. Tokens for Art-O-Mat® can be purchased during regular gallery hours.